I’ve come to realise, in the eight years since I first wrote about holloways, that many people share my fascination with these sunken lanes, which have been harrowed down into the landscape by the passage of feet and rainwater (and sometimes 4x4s…). 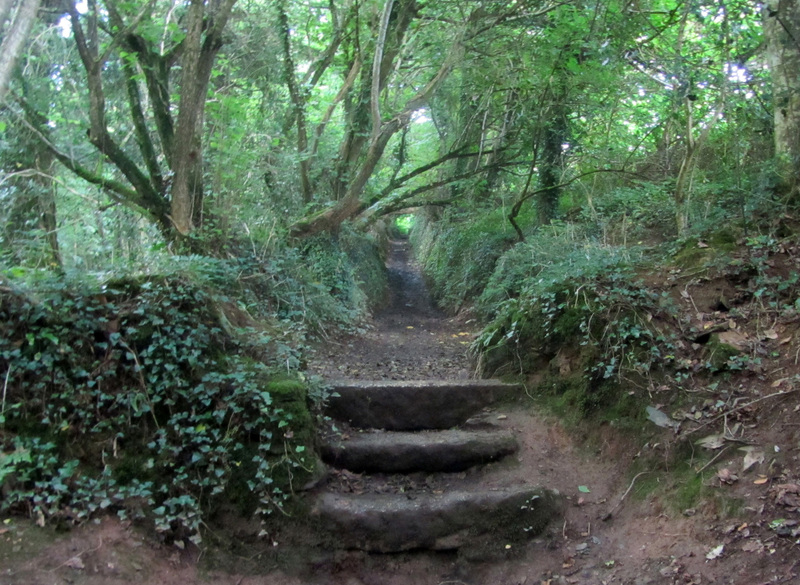 People have sent me photographs of the holloways they know, the paintings and sketches they have made of them, maps with their locations indicated, or the stories, memories and folklore they associate with them. Something about the idea of a path trodden by unknown predecessors, something about the everyday pleasure of walking and following these lanes, and something more mysterious about the symbolic power of the holloway as an image (tunnel, rabbit-hole, vortex, portal to the underworld), seems to draw the imagination of many. To coincide with the publication of the hardback edition of Holloway, a short book I made about these lanes with Stanley Donwood, Richard Lawrence and Dan Richards, Faber and Faber have set up a site where people can post their own images of holloways and sunken paths. So – if there is a holloway you know or have known, it would be just great if you’d consider adding an image of it to the gallery. The first few have begun to appear. I have this notion that, if the gallery gathers enough images, we might tag each of them to their location on a map, and in this way create a holloway cartography. The holloways don’t need to be English or British, though, or especially old or deep. There’s one from Normandy already up there. And perhaps the youngest holloways are barely a few inches in depth; perhaps holloways run through cities rather than only through the countryside. The site’s here: I’m told you have to be a member of flickr to be able to post; I’m also told that if you’re not, it’s easy to join. But I know little about the internet and its ways. If flickr defeats you, as it has defeated me, you can always send your photos to johng@faber.co.uk, with a quick note saying they’re for the holloway gallery, and with any info about location, photographer and such like for a caption. Thank you! Faber: Holloway & Flickr: Holloway. Robert Macfarlane’s The Old Ways was recently published in paperback by Penguin Books. This entry was posted in Books, Photography, Trees, Walks and tagged Flickr, Holloway, Robert Macfarlane. Bookmark the permalink.